Making a fashion statement just got easy! 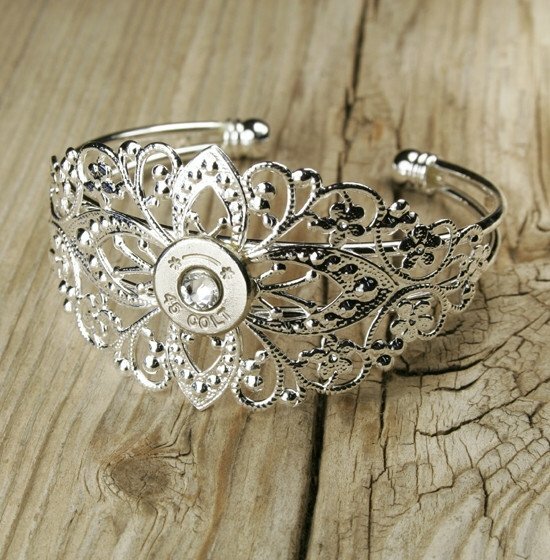 Show off your femininity and strength at the same time with our Filigree Bullet Cuff Bracelet! 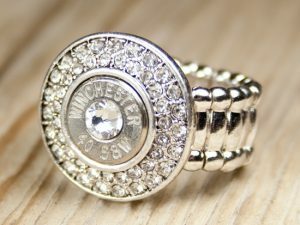 Our beautiful Filigree Bullet Cuff Bracelet is adorned with a single fired Colt 45 Bullet Head and a genuine Swarovski Crystal. 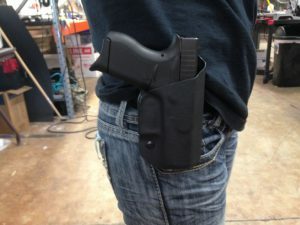 Adjusts to any size wrist. Width: 1 3/8″. Silver plated base. SKU: 40-BB-BRCLT-001. 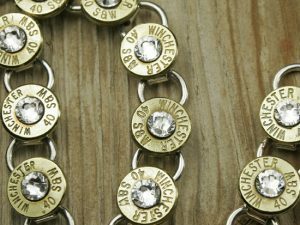 Tags: Bling!Bang! 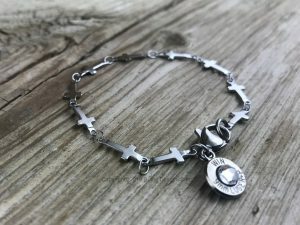 Jewelry, Bullet Bracelet, Bullet Jewelry, Filigree.